Suniel Shetty to Play a Baddie and Not ‘A Gentleman’ in his Upcoming Movie! Sidharth Malhotra’s 'A Gentleman’ directed by Krishna D.K., Raj Nidimoru is all set to hit theatres this coming Friday and since the trailer of the movie was out there was no news about the character sketch of antagonist in the film. Recently, the makers of the movie open up about the same. 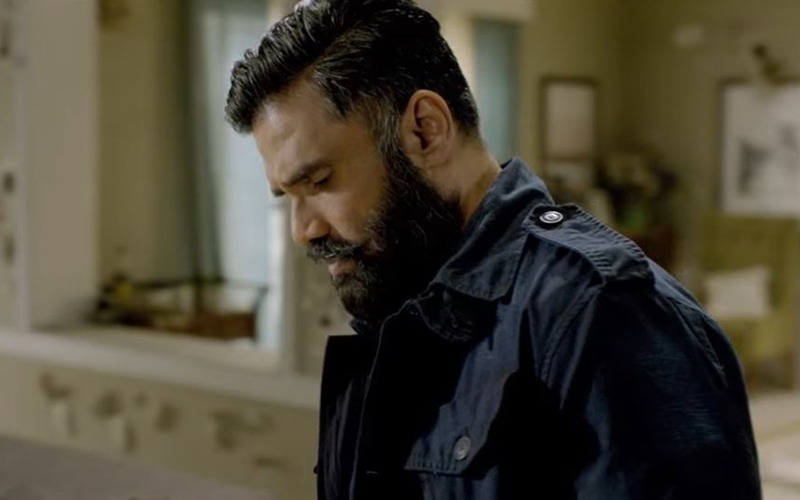 Our Hera Pheri actor Suniel Shetty will be seen playing as a badass in the movie and will surely come up as a surprise element for the audience. The 56-year-old actor is not so active in the industry for a while and when he was asked to read the script for the role, he felt excited and loved to be a part of it, reports informed. "He's one of the nicest guys to work within the industry. He is really fit for his age." Sidharth Malhotra who will be essaying twin role in the movie said in a statement about working with Shetty. Produced by Fox Star Studios, ‘A Gentleman’ will also feature Jacqueline Fernandez portraying the role of female protagonist opposite our student of the year, Sidharth Malhotra. It would be interesting to watch Suniel Shetty and Sidharth Malhotra sharing the screen space for the first time.